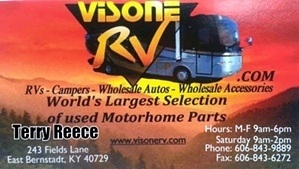 VISONE RV - Now Renting RV's Campers And Motorhomes. We Offer - Set Up And pick Up For Wildcat Adventures And Off Road Park. Call Visone RV At 606-843-9889.